THE PROJECTED COST of the nationwide water metering programme jumped by €107 million over two months last year, during which time contracts for the programme were agreed. The figures were revealed by RTÉ’s This Week programme this afternoon and come from correspondence between Bord Gáis and the Department of Environment. The programme reports that Ervia (the called Bord Gáis) advised the Government in May 2013 that the entire cost of the metering programme would come to €431.6 million. But then in July it was revealed by the Irish Independent that the entire cost of the programme would in fact be €539 million. It means the Government was provided with information on the cost that was underestimated by some €107 million. The initial estimate provided to the department was arrived upon following work carried out by Bord Gáis employees working alongside external consultants. During the period between the cost estimate being delivered to the Government and the final cost being revealed, nationwide contracts for the installation of the meters were agreed. The Government says that the reason for the increase between May and July was because of ongoing survey work which had not yet been completed. But Fianna Fáil’s Barry Cowen has described the miscalculation as “quite staggering”. “It reinforces the fact that the Government has failed to take control of the project from day one and raises further questions about what will be the actual set-up costs for this failing quango,” he said. Sinn Féin’s Barry Stanley has questioned the Government’s claim that the difference in cost was due to survey work on the basis that this was not completed until October 2013. “It seems strange that the figures reported in July could accord exactly with figures produced in October when survey work carried out by the local authorities was finally completed,” he argues. 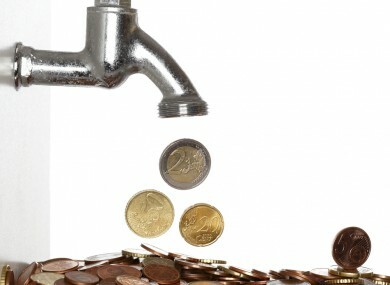 Email “Cost of water meters underestimated by €107 million”. Feedback on “Cost of water meters underestimated by €107 million”.